Hi, guys! 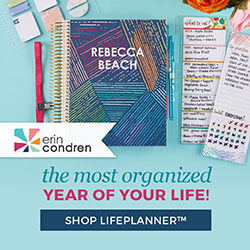 I'm here to day to show you how I have organized my dresser drawers and to share some tips on how to get more out of the space you have. 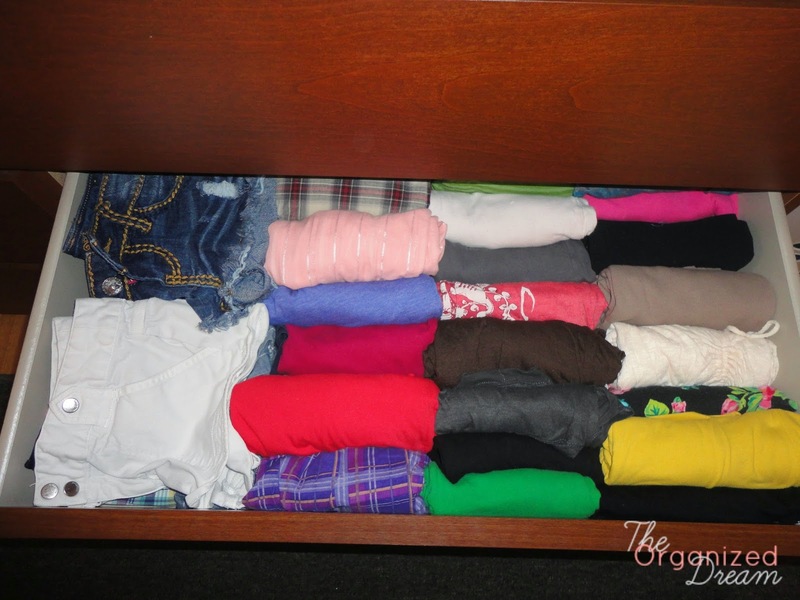 I've managed to store 100 clothing items in just 2 drawers! 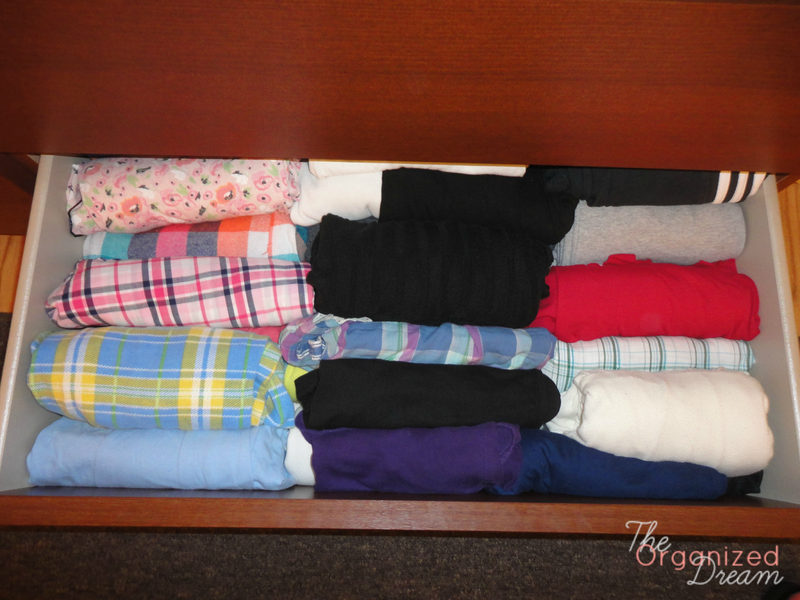 Below are images showing before and after I organized my shirt/shorts drawer and a few "how-to's" on how I fold my clothing to get them to fit nice and neat. 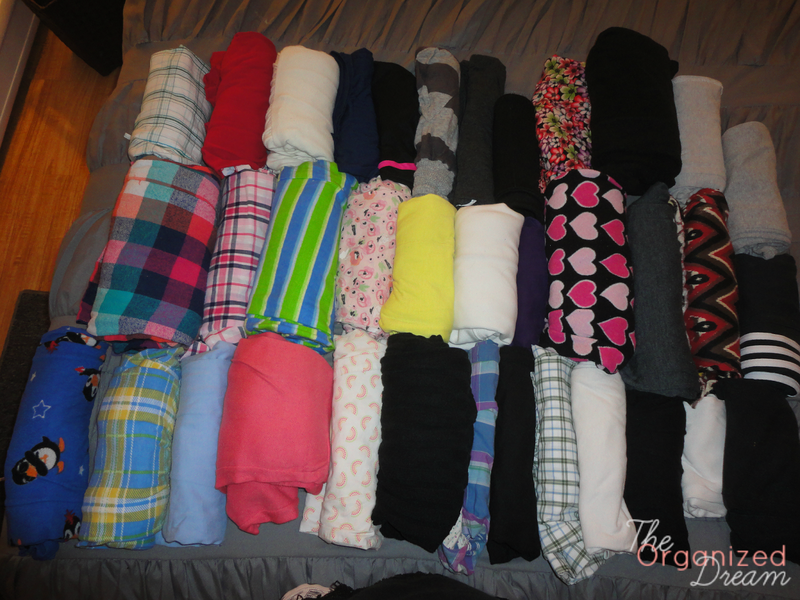 I've organized my shorts, shirts, tees and tanks into their own rows. 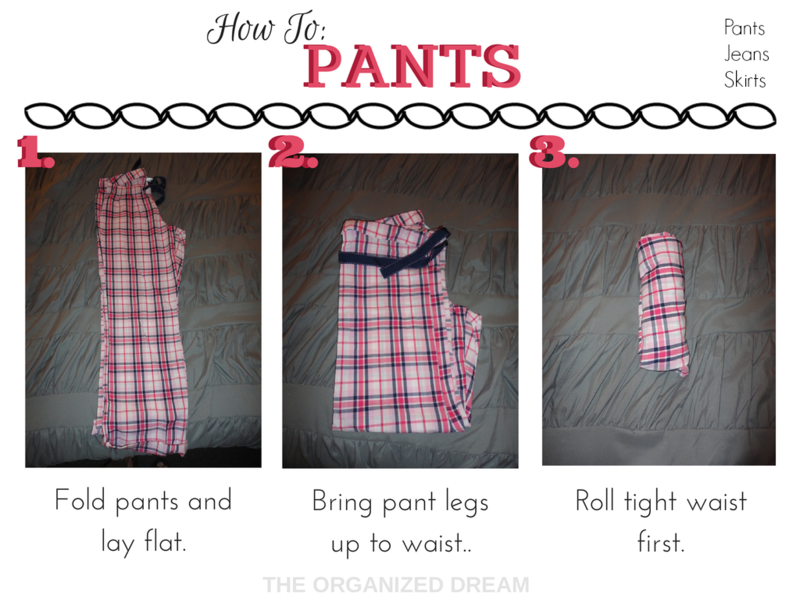 Since I've layered shirts on top of one another, this makes it easy to remember where I can find a particular shirt. I've managed to fit 48 shirts and 12 pairs of shorts and 1 pair of jeans in this drawer! 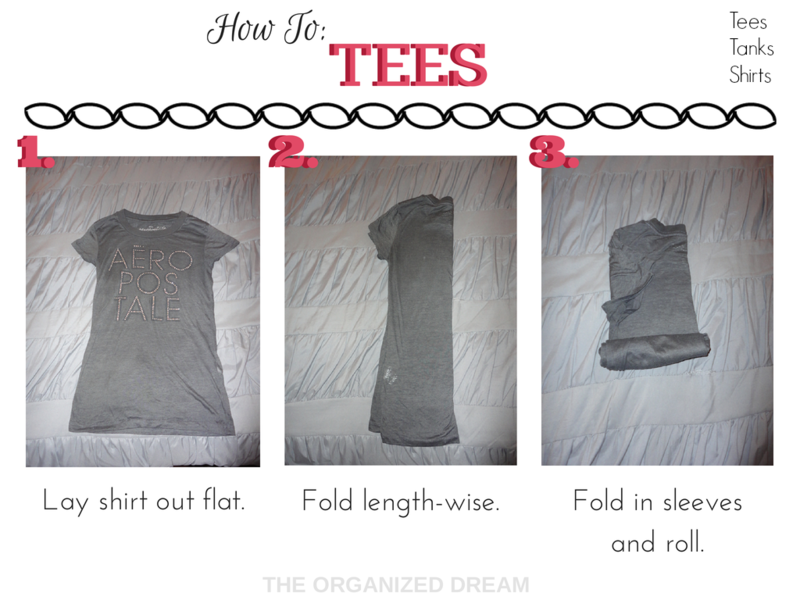 This is how I fold my tees. This also works for tanks, long sleeved shirts and other tops. From pajamas to dresses, skirts and sweats, This is where I store the clothes I don't wear much or is out of season. I was able to fit 36 items of clothing in this drawer. This included pajama sets. And there you have it. 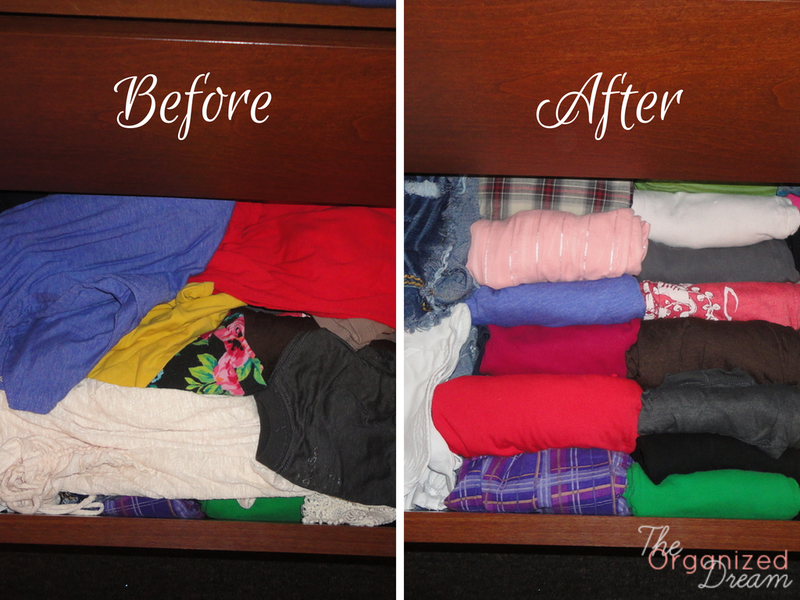 I've been wanting to do a post on this since I organized my drawers and I hope you can use these tips to make space. As a woman, I can't get enough clothing and a closet can only hold so much! Feel free to follow me on Facebook, Twitter, Pinterest and more. 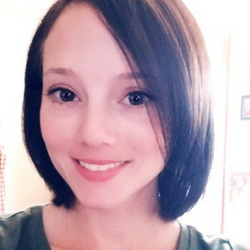 You can find all of my links up on the right side of this page. Ha! I do the same thing. We have limited space at my house and I've found it to be very helpful for my kids, esp. Stopping in from SITS. Happy SITS Day to you! Love it! Very tidy and space-efficient! Hi, visiting you via the SITS girls. That's really neat! 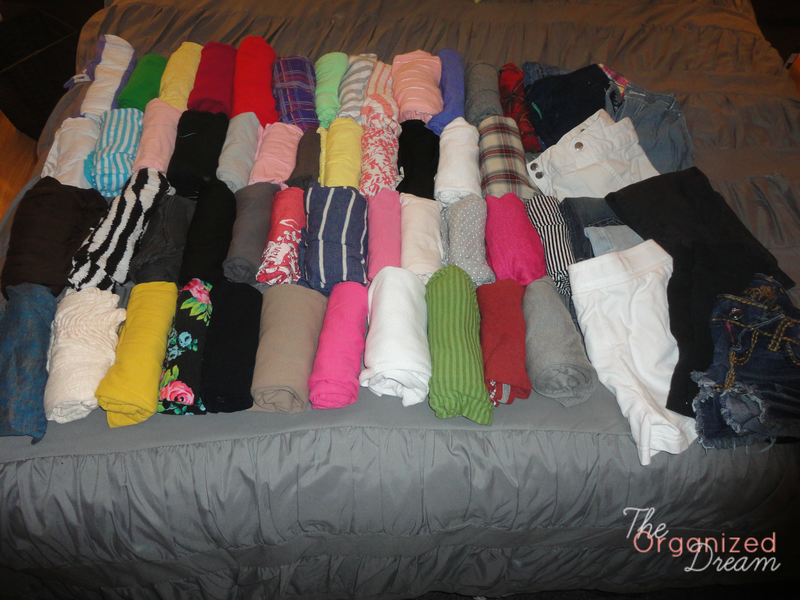 I love it, because instead of having to go crazy looking for something to put on, it is all there, tidy and organized!